Media Meltdown: Why Truth Matters - Veritas Communications Inc. The stage was set in San Diego. Promises were made. 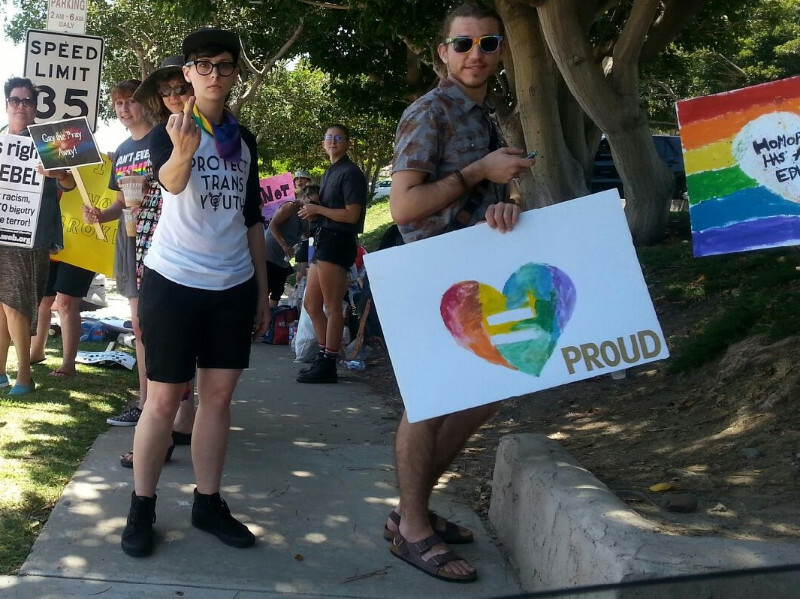 The gay community planned to shut the conference down. They came to protest the hundreds of formerly gay men and women, pastors, counselors, and strugglers attending the Restored Hope Conference. Protesters gathered outside. Shouting slogans, raising fists and fingers to anyone who dared drive past them. Inside the speakers and workshop leaders talked about how Christ came to set them free – from sin. Jesus said, “He who is forgiven much, loves much.” People coming out of a sinful lifestyle know what they have been saved from. This is hardly a novel idea. It is at the heart of the Gospel message. When good becomes evil or evil becomes good, the basis for civil discourse begins to collapse. In his infamous question, Pontius Pilate asks, “What is truth?” His insinuation was that truth must be illusive, subjective, hidden or impossible to define. Standing before him was the embodiment of truth and he missed it. Do you see the parallels with what’s happening in our culture? So many people are missing it. They are redefining truth based on their feelings, their experiences, and their opinions but certainly not on biblical terms. As a Christian communicator you have an advantage in today’s crazy world. You know the Source of truth. What a powerful idea. We face many who are like Pilate and cannot discern truth when it is right in front of them. This is willful blindness. Our job as communicators is simple; tell the truth. Adolph Hitler once said, “If you tell a big enough lie and tell it frequently enough, it will be believed.” This repetitive nature of a lie is turning otherwise intelligent people into fools. Ideology matters. Faith matters. Our capacity to articulate truth matters. This is neither the time to be conflict avoidant nor to lose our cool. It is an opportunity to speak the truth in love, repeat the truth as many times as necessary even if it seems like people aren’t listening. Here are some basic reminders for us as we navigate these scurrilous days. Never lose hope. Truth matters. You are plugged in to the Source of truth. Don’t be afraid to speak the truth. Now. Focus on God’s agenda, not just book sales, politics, or winning an argument. Choose your words wisely. They matter. Expect people to get mad at you. Truth irritates the untruthful. Be kind but never back down in matters of truth. Don’t apologize for telling the truth to people who may not like it. Lucifer is the Father of Lies. God is the Author of truth. You will make mistakes. It’s okay. Learn from them. I spoke with a woman who runs a nearby assisted living facility. She is not a believer. But sometimes we plant seeds and trust the Holy Spirit to do the rest. I said to her, “Jesus didn’t die because He was such a nice guy; He died because he irritated the religious leaders of His day.” I am not suggesting we intentionally annoy people. I am suggesting that we cease caring so much what others think and start thinking more about what God cares about. Carpe diem.